We are also willing to stipulate, perhaps less controversially, that Iron Man 2 was a garbage fire so white-hot we’ve mentally recast Taylor Kitsch in it to keep recent-vintage Robert Downey Jr. pristine in our minds. Not even Mickey Rourke’s electric whip burlesque rodeo could save it, no matter how many race cars he sliced in half. 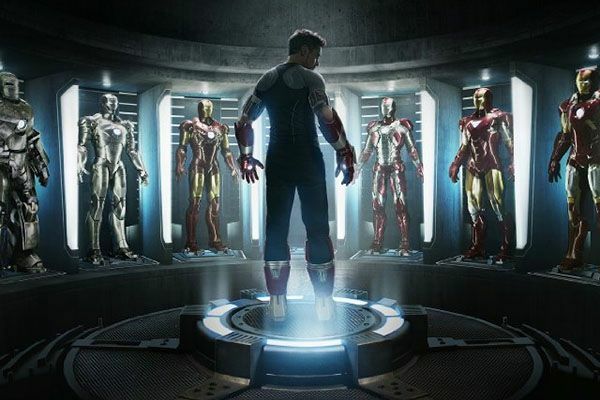 And so here we are, at the much-anticipated worldwide debut of the first trailer for Iron Man 3, hoping that new director Shane Black, the greatest action screenwriter of a generation, a man who apocryphally pitched The Last Boy Scout while making blow-angels in a giant sandbox full of cocaine, can revitalize the franchise. Praying this installment, avoiding the Third Superhero Movie Curse, is more The Dark Knight Rises than that X-Men movie Brett Ratner shot on a hundred cameras thrown from helicopters. Trying to keep our expectations sane, when the knee-jerk instinct of modern fandom is to either douse ourselves in gasoline and self-immolate upon a pile of childhood comic books forever ruined by a two-minute commercial, or to declare this the best dudes-in-flying-metal-suits footage of all time. Anyway, good news: It’s a great trailer. What else could we ask for, really? It’s got an Oscar-winning supervillain, educated at the Bane School of Criminally Insane Rhetoric, clothing himself in the immense power of a well-articulated mission statement. (“Ladies, children, sheep. Some people call me a terrorist. I consider myself a teacher. Lesson number one: heroes. There is no such thing.”) A remote-controlled glove. A room full of exploding Iron Men. Gwyneth Paltrow being menaced. Guy Pearce existing. We are satisfied. For the moment. But let’s all meet back here after the release of the next trailer and decide if we can continue not lighting ourselves on fire. Filed Under: Gwyneth Paltrow, Iron Man, Iron Man 3, Robert Downey Jr.
Grading the Top 10 in ... Urban Adult Contemporary!